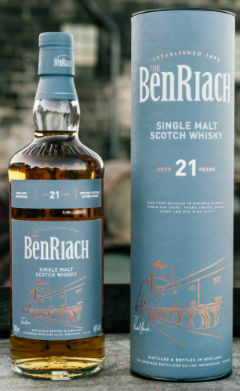 Not content with releasing a bunch of single cask whiskies every other month (or so it seems), BenRiach have released two new expressions; a 21 year old matured in four, yes four, different types of cask, and a peated 30 year old. Safe to say, today is a good day. I am ready to be surprised and delighted. Nose: Loads of vanilla, icing sugar and delicate estery notes. Orange blossom, baked apple, fresh laundry, cherry lips sweets, blackcurrant cordial and gentle oak. Palate: Ginger, lime, and lemon sherbet to begin. Then floral notes, love heart sweets, and slightly grassy notes. Some creamy vanilla and a touch of dry oak. Pleasant, but not as complex as I thought it’d be. Finish: Short, with an estery sweetness, some zest ginger and sweet oak. So, to the 30 year old. 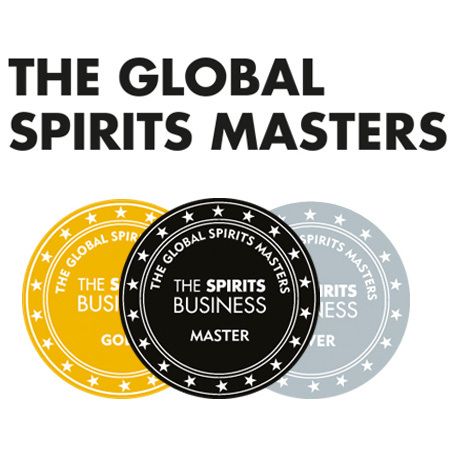 BenRiach have led the way in smoky Speyside whisky for some time now, with peated spirit first being distilled on the site in the 1970s. 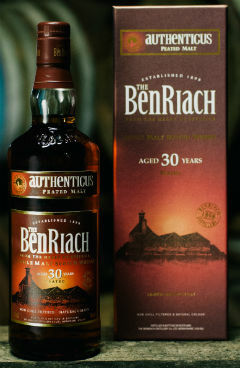 Indeed, BenRiach have casks of peated whisky dating back to 1975 in their current inventory. The peat used at the distillery (they have retained their own floor maltings) is akin to that used at other Highland and Speyside distilleries, with it being cut from the mainland of Scotland. As such, it imparts sweet, aromatic, herbal smoky notes into the barley, rather than the phenolic, medicinal notes contributed by Islay peat. Think heather, bracken and exotic spice. 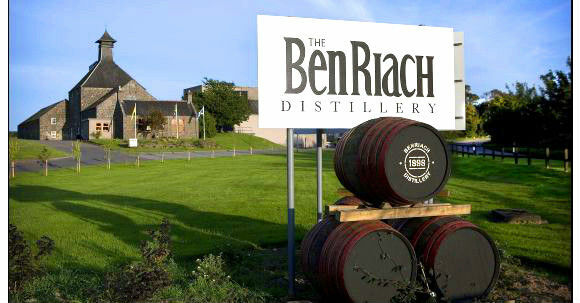 Commenting on the new 30yo, master blender Rachel Barrie said: “At the BenRiach Distillery we pride ourselves on our unconventional distilling philosophy, creating unpeated, peated and triple distilled malt whisky. As the oldest expression in our peated range, we believe Authenticus 30 years old will impress with its distinguished profile. It is a more intense Speyside malt which carries a delightful balance of wild honey and peat on the nose. 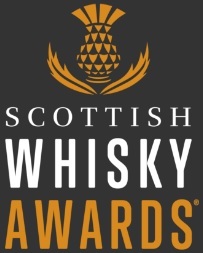 The combination of the soft, creamy vanilla, summer fruits and slight hint of cocoa coax the palate, while the infused sweet peat builds gradually to complete the unique character.” Here goes. Nose: Thick bonfire smoke straight off the bat, then smoked applewood, burnt sandalwood, maple syrup and bacon, whisky glazed ribs, and roasted chestnuts. Then the spices come through with cinnamon, clove studded ham along with a rich sweetness of figs, prunes and Terry’s dark chocolate orange. Palate: Thick, almost oily smoke to begin, then singed heather and nettles. The sweeteness is there with red currants and dates before a savoury note emerges; pheasant, leather and clove, all dusted with toasted coconut. Finish: Lingering smoke, austere oak and aromatic spices. Overall: A tale of two halves. The 21yo noses and tastes much younger than 21, unfortunately, and the influence of anything other than the ex-bourbon casks is modest to indiscernible. Pleasant, don’t get me wrong, but I won’t be parting with £125 for it. The 30yo on the other hand, is full of flavour, balanced, complex, well integrated and quite delightful. The smoke sits up front, followed by rich sweetness and complimented with aromatic oaky notes. Very good indeed. This entry was posted	on Saturday, December 30th, 2017 at 12:30 pm	and is filed under Reviews. You can follow any responses to this entry through the RSS 2.0 feed. Responses are currently closed, but you can trackback from your own site.